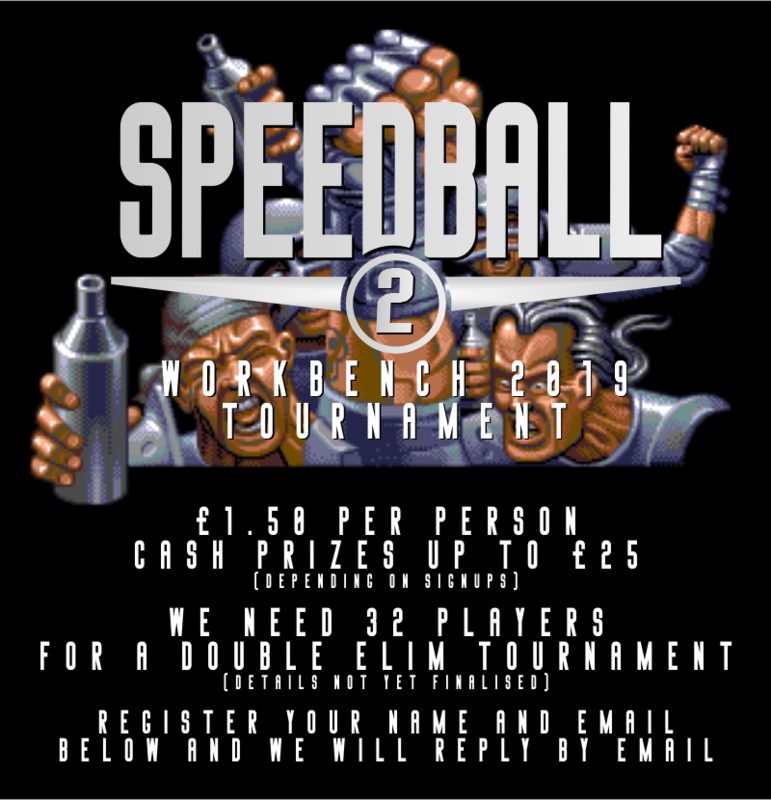 SOUTH WEST AMIGA GROUP » Workbench: Our First Ever SpeedBall 2 Prize Tournament. Just fill in your Name and Email address and it will not be shown to public, then I will get back to you for registration by email. I can’t see below my interest in tournament that i’ve expressed in previous message, so just to make sure i will qualify i’m sending another one. We’re in! I have provided two names as we’re coming together, but please, make two separate entries for us! I’m crap but hey hoo!